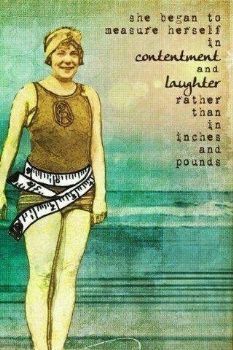 So folks...it's not all about losing weight. Can you name five things that you have accomplished as a result of changing your eating habits. Can you name another five as well? Why not another five too? 12.) I can do more reps on any of my exercise then I could before. 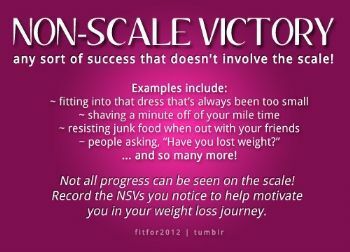 So how about it, can you name at least five (you can name more if you want to) non-scale victories.. Let's have fun with this because it isn't always about those lbs being lost. 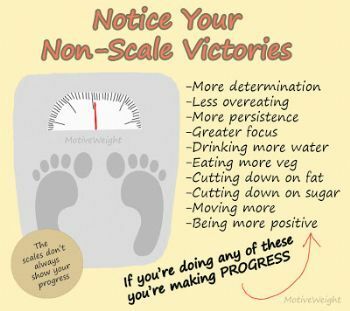 Eating better and moving more are my NSVs. Thank you! 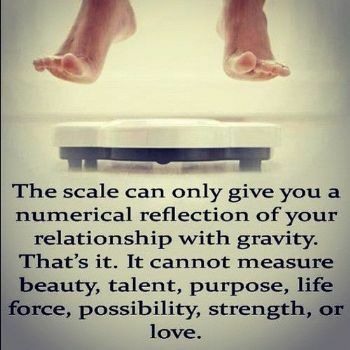 My scale moves slowly, so I always try to look at the benefits in a holistic way. 1. Blood pressure numbers have moved in to healthy range. 2. Overall inches have been reduced. 3. Conscious of type of food i eat. Healthier and smaller portions. 5. Have learned so much about nutrition and type 2 diabetes. 6. Interacted in a very positive way with other Sparkers. I adore my Spark friends. All of you are a daily inspiration. When nothing is working, remembering & counting your blessings as well as successes can inspire you to keep coming back! Awesome blog! 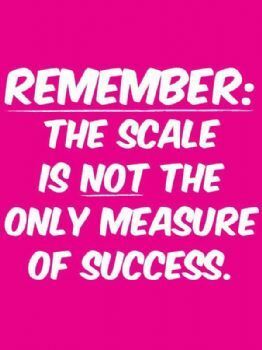 Thank you for reminding us that the scale is not the "tell all" of weight loss. You have given us some very valuable information and made us think! This will help so many other members realize that they have a lot to look forward to . Awesome! Much to think about!! 1. I can light a decent amount of weights. 1. I became a Marine. 2. I stayed married for 28.5 years when he passed away. 3. I raised two strong successful children. 3 I graduated with my BS degree. 4. I held a state license as a Licensed Drug and Alcohol counselor. 5. I have helped raise about 25 grand children. 6. I now have 7 great grand kids with 2 or more on the way. 7 I try to live life on a positive grateful attitude.